[fa icon="clock-o"] Jul 5, 2018 3:01:18 PM [fa icon="user"] Rachelle Peterson [fa icon="folder-open'] Lifestyle, Why Cayman? When it comes to incorporating your business – whether that’s a technology company located in the blockchain space or something else entirely – you’ve likely already done your research and narrowed your options down to a matter of a few locations suitable for what you need. Time and again we get asked what makes Cayman different from Bermuda. To the casual observer they might seem pretty similar but there are actually quite a few things that make the two distinctly different and will allow you to choose between them. One of the biggest distinctions between the two islands, beyond weather, are their approaches to tax. Since it’s patriation as a UK Overseas Territory some 300 years ago, the Cayman Islands have reportedly been ‘tax-free and conscription-fee’ because of a debt owed by the crown to the people. This is something that continues today with income tax in Cayman set at 0% along with capital gains tax, sales tax, and payroll tax all being 0% too. In Bermuda, conversely, payroll tax is over 4%. Anyone looking overseas for a tax-free environment will be pleased to note that the Cayman Islands are true to their word, charging no tax on the island. 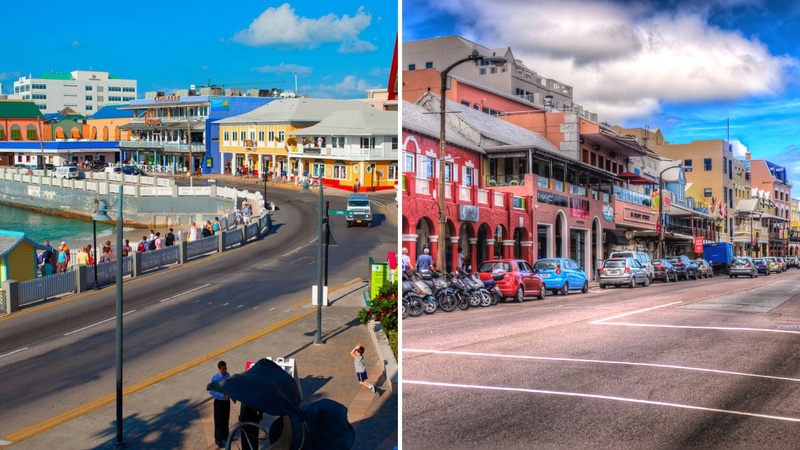 It’s well known that island-life can sometimes come at a premium but when comparing costs between Bermuda and Cayman, the Cayman Islands really shine through. Bermuda is around 20% more expensive than Cayman, with the cost of renting being considerably steeper in Bermuda. Moreover, Cayman offers fewer restrictions and fees on owning cars, houses and condos. Coupled with the absence of income tax, the Cayman Islands have a comparatively higher standard of cheaper living. Something many people overlook about Bermuda is that it’s not actually in the tropics. Where Bermuda can get pretty cold in the winter, Cayman is a true Caribbean island experiencing near constant temperatures somewhere in the mid 80s. While it can get warm, the temperature also rarely rises above 91 degrees meaning residents experience the very best of the weather in the Greater Antilles. The weather is an incredibly strong draw for a lot of our clients after the financials. Spending a moment watching a spectacular Caribbean sunset (and search for the legendary green flash!) from a beach that’s walkable to from your office – work-life balance doesn’t get much better than this. True to Caribbean style, Cayman is reportedly a more relaxed island to live on. A combination of those warm winters, spectacular sunsets, and the knowledge that you’re living where most people vacation means the local population are incredibly friendly and willing to expand their horizons. You’ll find that local business and international business are both willing to network – the largest companies with the smallest – allowing for real growth when it comes to your company (whether that’s within the financial industry or some other space). 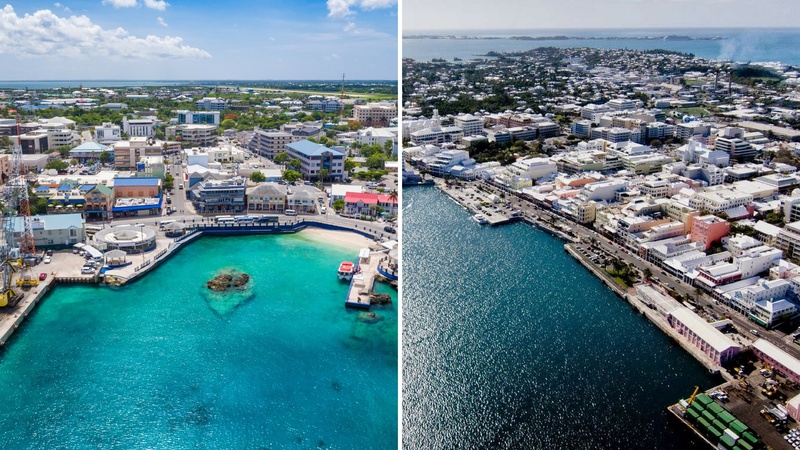 If it’s coming down to the wire with your decision between the Cayman Islands and Bermuda (or perhaps another region) there’s no better way to understand what it’s like to do business on this island than to talk to the people who have moved here to do business. If you’d like to hear from our clients – people who were once making the decision you are – get in touch with us today. We have over 200 businesses within Cayman Enterprise City who are incredibly diverse in industry and size that we can put you in touch with as we consult with you on your needs. *Did you know? Work permit fees in Cayman's local economy differ greatly from Zone Employment Certificates (ZEC) which is the Zone’s equivalent of a work permit. Through Cayman Enterprise City, ZEC fees are substantially less which is included in the setup of an office through concessions granted by the Cayman Islands government. 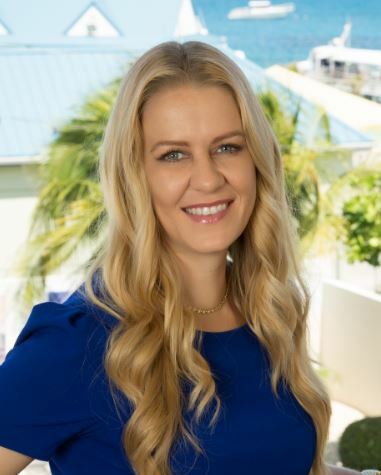 Rachelle Peterson is an experienced Global Business Development Manager with a demonstrated history of working in the international trade and development industry. Strong sales professional skilled in business relocation, strong communication, efficient negotiation, project management, immigration matters and strategic planning for companies in the following industries: technology, blockchain, aviation, maritime, sciences, commodities & derivatives trading, media and marketing.